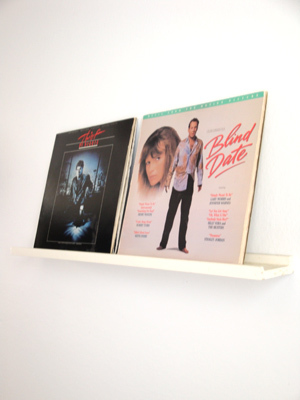 I´m also a huge Faltermeyer fan and try to collect all his stuff. There´s some good songs on the soundtrack. Check out this Faltermeyer theme song, pure magic! I have the Real Genius soundtrack, although it's missing "The Tuff Do What" by Tonio K which I've never been able to find anywhere on any recorded medium. My favorite rare soundtrack is The Last American Virgin. I see people selling boots of that occasionally, but never with the Dancing Brass and Los Fabulosos 3 Paraguayos songs included. I found those a couple years ago and now have the complete 22-track original soundtrack. 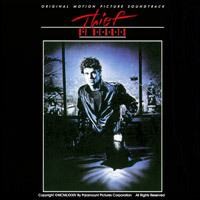 I just picked up the Thief of Hearts soundtrack on LP. I don't have a record player so it's just decorating my wall right now. The only place I can listen to the tracks for now are on the sites I mentioned above. I have a lot of oddball songs from soundtracks mainly through friends at this site. Better off Dead, Summer school, Spring Break, Pump up the Volume, Secret Admirer, and modern girls to name a few. Where's Cindy Mancini when you need her? I was lucky and found the Better Off Dead soundtrack on CD in a store last month. Of course I bought it ... cause I'd be better of dead without it! I am seriously going to have to check out some of these soundtracks you all have mentioned. I don't remember most of them! Some that reallyh stand out for me are Fast Times at Ridgemont High, Vision Quest, Footloose, Streets of Fire, To Live and Die in LA. It might have been more how the music was used in the movie or set against the scene than the actual soundtrack listening to driving around in your car, but they sure left an impression anyways...p.s. Say Anything...Dobler holding the boom box over his head with the strains of Peter Gabriel coming out has been referenced time and again, but man is that a great scene at that point in the movie...love Vangelies from Chariots as well...man I better stop now! Whatever happened to Elizabeth Daily? I guess Madonna and Cyndi Lauper had too much of a share in that market. I recently got To Live and Die in LA. To Live and Die in L.A. soundtrack is awesome! Hahaha! You woudn't read about it! I was looking at the DVD for that just this morning! Omen-Was very rare at the time. That's all I remember off the top of my head but once I get them i'll post a complete list. Two that I have ALWAYS been on the lookout for on CD, but could never find are Back To School and Weird Science. Occassionally I will YouTube Jude Cole for the Back To School theme! JCWBobC - Unreal...looking for 20 years and you set me up in a few hours...already on order and can't thank you enough...Cheers! I've been trying to get all the songs from Fletch. Anyone have any help? Seriously though, I want them too! This soundtrack is sooo rare! I saw one CD selling on Amazon a couple months ago for like $150. Looks like someone grabbed it. Just got "Pretty In Pink" Sntrk on CD....always loved this one. My Fav tracks are "Bring On The Dancing Horses" by Echo and the Bunnymen, and "Please Let Me Get What I Want" by the Smiths. Thief of Hearts CD just arrived today! woo! I have written We are DEVO for every post except my first one. Man, that's 6 years ago.